I am counting the days until my courses at Parson’s kick off this June, and in preparation have had a blast recommitting to indulging my creative pursuits. Below, a few standouts that I wanted to share with you, so take a pause, grab a cup of coffee (or tea, no judgement) and prepare yourselves for some serious drool worthiness below. My friend Hilary and I decided to take a trip uptown to the Kips Bay Decorator’s Showhouse. What on earth is that, you say? Well dear reader, I’ll tell you. The showhouse is an annual event where celebrated Interior Designers transform a luxury Manhattan home (understatement of the century) into an absolutely bananas exhibition of fine furnishing, art and technology. The event raises critical funds for after school and enrichment programs for New York City children (getting your kicks in while benefitting society? 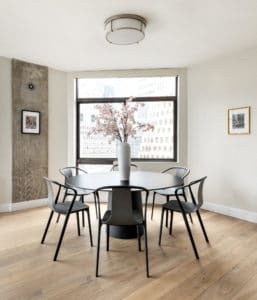 yes please)- and as grown into “a must see event for thousands of design enthusiasts…renowned for sparking interior design trends throughout the world.” This year’s showhouse is on 65th street between Park and Lex (e.g. heaven), and was such a perfect way to spend an evening with one of my best girlfriends. To add to the visual delight, a number of the designers were on site (we went on opening day) and it was so great to have them answer our questions about materials, thought process, and the nitty gritty details behind the details! Herewith, some of my favorite rooms. I will show more details photos in subsequent posts – as there were too many to share! But the whole place is divine and worth every penny of the $40 admission fee. Plan your visit here. When I’m not roaming the streets of New York seeking out mansions to walk through, I’m doing my share of reading! The below are a few I’ve added to the shelves as of late. How They Decorated illustrates some of the great rooms of the twentieth century, whose stylish residents influence our tastes today. Translation: how did women with all the moola and style in the world decorate their homes? From Bunny Mellon to Mona von Bismarck to Georgia O’Keefe – this book dives into their aesthetic approaches, categorizing them into “The Fashionably Chic” “the Unconventional Eye, “in the Grand Manner” and “Legacy Style”. What I particularly enjoy about this book so far is that you can’t pinpoint a replicable “style” of his that is imprinted on every house, which is refreshing in an age when you can look at a house and almost immediately tell who laid their paws on it. In my opinion, you don’t hire a decorator to impose their view of the world, you hire them to impose yours. Nowhere does this come through more clearly than in Watson’s interiors – a beautifully photographed and written book. From designer and blogger Erin Gates, a fully illustrated book packed with advice, ideas, inspiration, and anecdotes about designing a home that reflects your personality and style. Written in a fluid and conversational tone and divided by room, it is such an enjoyable read and really well done and accessible, despite her very obvious talents. I adored this book and basically gobbled it up in 2 days. Apart from these, sometimes the best inspiration truly comes from walking the streets of New York, and I’m grateful to be doing more of that now that the weather has turned (all the way up to 60 degrees! Come on Summer). Yesterday, I took 21st street East from 10th avenue, admiring the Chelsea brownstones and gorgeous flowers in bloom; sometimes the free entertainment is truly the best there is. Love, love, love, love love!!! That yellow is EVERYTHING and I adore the chairs and how they all play together. Plus the art and fixture. These are actually enormous ideas in on the topic off blogging. You have touched some good points here. Anyy way keep up wrinting.